In an effort to be among the great pioneers of flight, Cartman puts on a pair of cardboard wings, stands on his rooftop, and jumps. Unfortunately he does not fly. The resulting two-story fall causes massive cranial trauma and puts him in coma. After two days, Cartman awakes from the coma, alive and coherent. During his two-day recovery period, he is given a new hospital roommate -- the latest victim of the "Left Hand Killer" (a serial killer haunting South Park). The hospital room is swarming with police detectives. The victim dies shortly after, and the cops -- noticing the injured boy's ability to predict his crappy hospital food -- now believe Cartman to be psychic. They take him to the latest crime scene and ask for his impressions. Cartman closes his eyes and sees "visions" of various snack foods -- more specifically, "ice cream with sprinkles and Quadruple-Stuffs." Hearing this, the cops leap to the conclusion that Tom Johansen, owner of the local ice cream shop, is the killer. He's promptly arrested, beaten then beaten some more. When another murder occurs with Johansen in jail, the police believe there's now a copycat killer on the loose and seek help from the "Child Wunderkind with psychic abilities" once more. Cartman fingers another suspect, who's also immediately incarcerated. But the killings keep happening. And Cartman keeps naming suspects -- including a group of "professional" psychics who recently challenged his credentials. Meanwhile, Kyle notices an extremely creepy character at one of the crime scenes. Pissed that everyone is taking Cartman's bogus "readings" so seriously, Kyle takes matters into his own hands. He follows the creepy man home, does some fairly complex fingerprint and blood analysis work, and informs the cops that this guy is their man. They scoff at him, preferring to rely on Cartman's readings. Feeling that there's no other way to make himself heard, Kyle straps on cardboard wings, jumps off the roof of his own house and sustains a head injury that lands him in the hospital...with a coma. When Kyle wakes up, he tells the cops he's acquired psychic powers just like Cartman, and provides the police with the name and address of the Left Hand Killer. Meanwhile, the Killer kidnaps Cartman and plans to kill him -- claiming that Cartman has denied him proper credit for his "work." The police arrive just in time, and gun the killer down. Back at the hospital, they, along with the (now released) "professional" psychics, thank Kyle for helping them. Kyle tells everyone that psychic powers had nothing to do with it, and that no one can really read minds. Not surprisingly, no one believes him. The professional psychics then square off with Cartman in a telekinetic battle. Suddenly the room's lights go out and the shelf above Kyle's bed collapses. Kyle, taken aback, insists there's a logical explanation for that too. "The plain simple truth is that nobody is psychic. There's a logical explanation for every psychic story you've ever heard." The Left Hand Killer, a.k.a. Michael Deets, who resides at 621 Costillo Street. Also, Tom Johansen, the ice cream shop owner, and the group of seven "real" Psychic Detectives, all of whom have paid the $25 comic-book-entry-fee to be called such. Ms. Crabtree, the elementary school bus driver (and one-time stand-up comedian), is killed brutally by the Left Hand Killer. A cop mulling over her murder says, "She was considered an ancillary character, one the fans wouldn't miss much." A few moments later, he breaks down: "I know she hadn't been in any recent episodes but damnit she deserved better than this!" The Left Hand Killer's numerous victims, as well as the serial killer himself. Also, one of the "real" Psychic Detectives is gunned down in a police raid, after he poorly attempts to defend himself with his mind. The soulful, gospel-like"Seasons Change" plays over the passage of time during Cartman's coma. Matt and Trey, near catatonic from fatigue as they approached the end of the season, remember next to nothing about this episode. The scene in which Cartman is kidnapped by the Left Hand Killer is a recreation of one of the more gruesome moments in the 1986 serial killer flick Manhunter and the 2002 adaptation Red Dragon. Also, elements of the 1981 SciFi horror flick Scanners is parodied here, most notably when Cartman is trying to use his telekinetic "powers" to make other people's heads explode. This is the boys' second run-in with fake psychics. The first was their battle with John Edward in "The Biggest Douche in the Universe" . 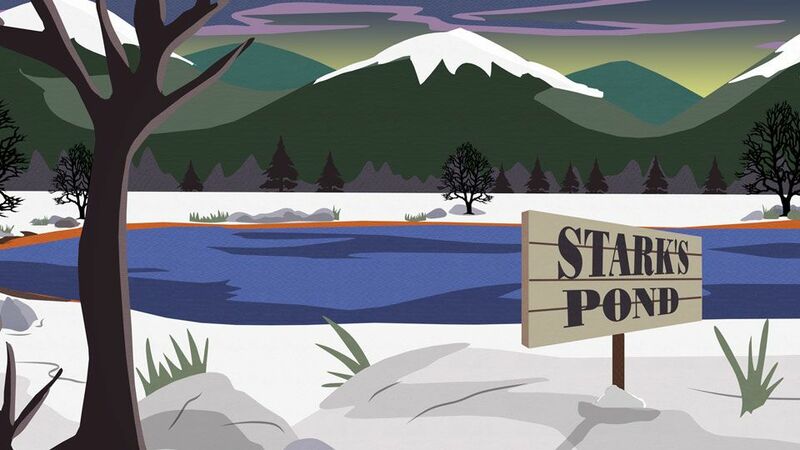 Also Stark's Pond, which was paved over to make room for the Wall Mart (in "Something Wall Mart This Way Comes") is now back, and better than ever. While giving his inspirational pre-flight speech, Cartman mentions Copernicus (the 15th century astronomer who first named the sun as the center of the universe) as well as the Wright Brothers, "Orville and Redenbacher." While the Wright Brothers (Orville and Wilbur) are indeed credited with flying and creating the first successful airplane, Orville Redenbacher should be credited with making delicious popcorn. Dr. 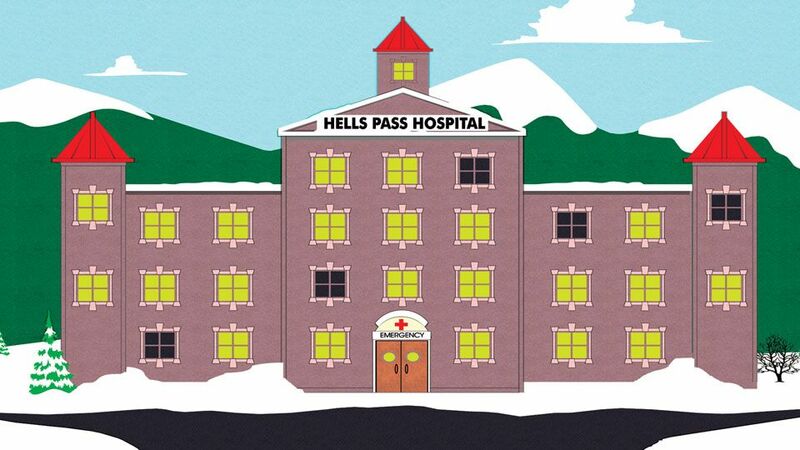 Doctor, the lead medical expert at Hells Pass Hospital, has his real name revealed to be "Dr. Gauche" in this episode. Also, Sergeant Yates, head of Park County Police, is called "Lou" here. However, in "The Jeffersons" , his wife Maggie calls him "Harrison" Yates.